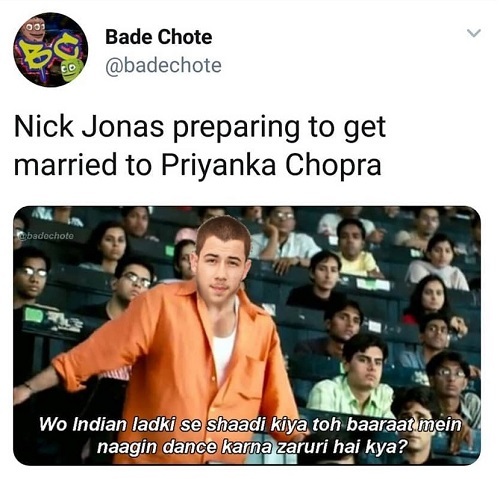 Well well, now that it’s confirmed that Nick Jonas is getting married to our Desi Girl, I’m hoping for a full on Desi Wedding too! 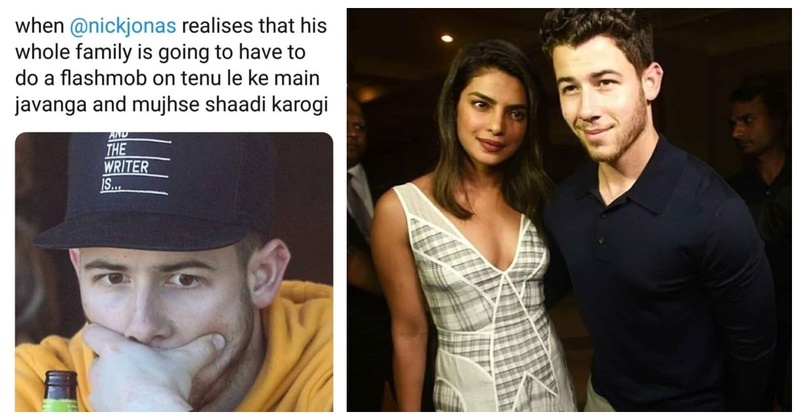 It’s not a blank prediction, Nick Jonas was spotted sitting at a pooja wearing a sherwani! Even Mama and Papa Jonas were in ethnic wear! 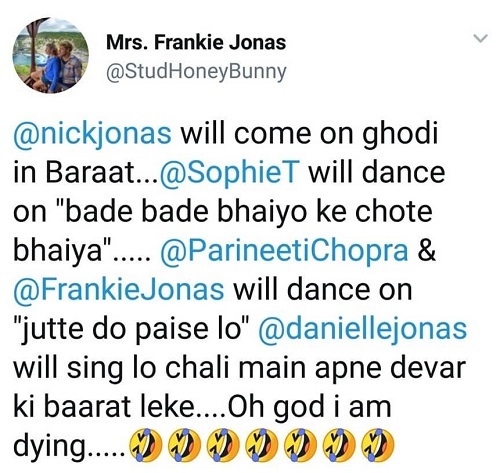 So, me predicting a desi wedding for these two is not reaching too far right? Hilarious aren’t they? 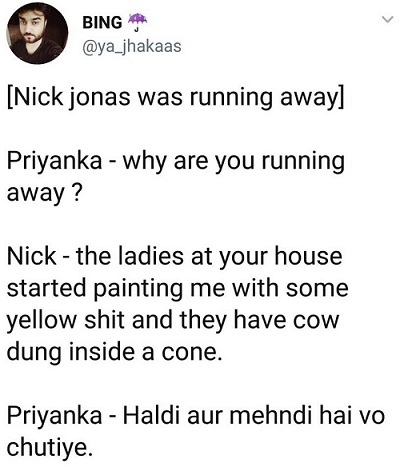 Take’em on a lighter note I say!